To share files between any two machines they will need to be on the same network. The easiest way of doing this is connecting both machines to a common hub, switch, or router. A crossover cable can suffice as well, but it isn’t typically recommended as it has many limitations. Once the machines are connected under the same network, you can use either the Mac or the PC as the host. Using Windows as the host 1. File sharing first needs to be enabled on the Windows machine. This process is different depending on the version of Windows. Windows XP: Go to Control Panel, double click and run through the Network Setup Wizard. 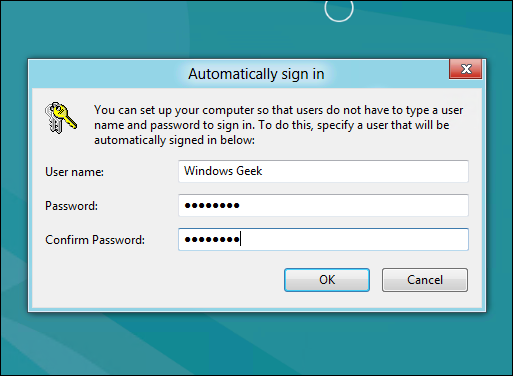 Windows 7: Go to Control Panel, Network and Sharing Center. Go to Choose Homegroup and Sharing options, Change Advanced Sharing Settings. Finally click “Turn on File and Printer Sharing”. Automatically: Open up a finder window, and on the left pane you will see shared machines under the “Shared” heading. Find the name of the windows machine you wish to share with. Clicking it will bring up a folder view where you can drag and drop files to/from the shared folder. Next, make note of the address (IP or hostname) of the Mac. It will be listed at the top of the sharing window. If you have configured your computer to Obtain an IP address automatically, sometimes such as after you change the IP address of your router, you need renew the IP address of your computer to access the network/router. or if your PC have been stuck somewhere and it doesn’t worked properly. Type ipconfig /release at the prompt window, press Enter, it will release the current IP configuration. 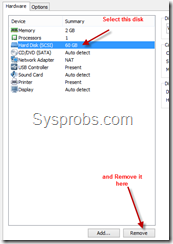 Click Start on the task bar, type cmd into the search box and press Enter. Type ipconfig /renew at the prompt window, wait for a while, the DHCP server will assign a new IP address for your computer. R2 version has come up with several major changes. Hyper-V hypervisor has been improved well with few great features. They called that ‘Start Button is back’, but believe me, it’s not. The start menu/button icon is useless in this version. Install Win Server 2012 by VirtualBox or VMware Each aspect of server functions have been improved significantly in 2012 R2. You can find out them all inMicrosoft Site here. If you want to know the included changes in Windows 2012 R2 Hyper-V hypervisor, refer this nice presentation here. 1) You can download either server core or with GUI here at official evaluation center (Microsoft account it required). 2) Extract the exe file you have downloaded. Since this is made for Hyper-v server to import directly, you will find more files and folders inside it. We need the VHD file only which resides inside ‘Virtual Hard Disks’ folder. 3) You must have latest version of VirtualBox. VirtualBox supports Windows 8.1 (2012 R2) from 4.2.16 version only. Better upgrade to latest version, otherwise you might get an error message says ‘Your PC needs to restart’ in black screen. 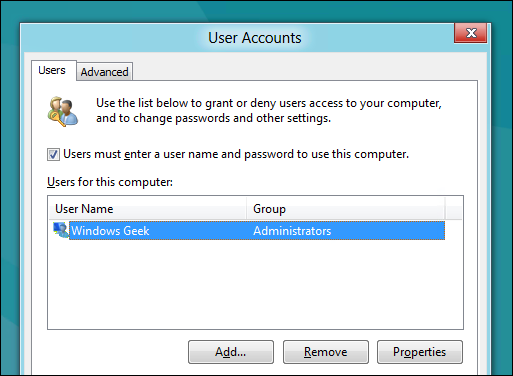 4) Create a new virtual machine. Select Windows 2012(64bit) as client OS. 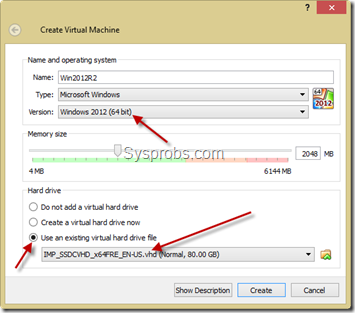 Instead of creating new hard disk, select existing virtual hard drive option. 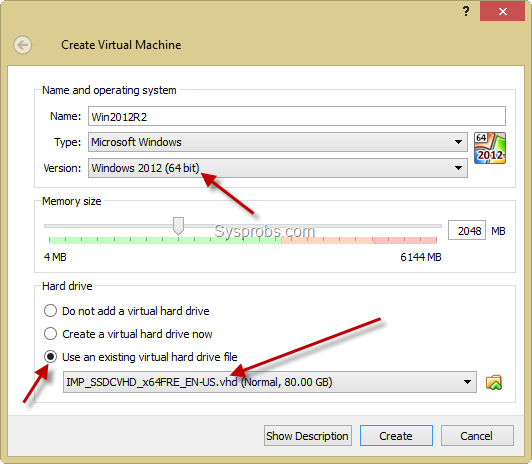 Browse the extracted VHD file which is located inside ‘Virtual Hard Disks’ folder. 5) There should not be any issue once you have started virtual machine. 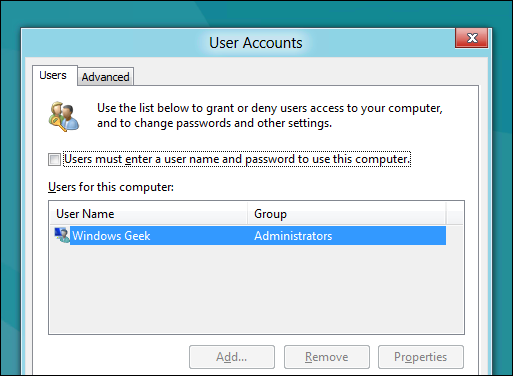 Administrator password is R2Preview! , as of now. You could find more information here from Microsoft site. Here is the working virtual machine on VirtualBox. 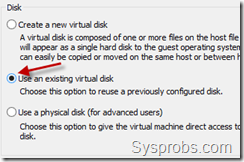 6) VMware workstation or VM Player do not support VHD disk files for direct import. 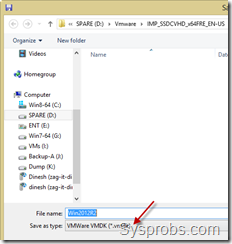 Therefore, VHD file needs to converted to VMDK format. There are few free tools available for this purpose in Windows OS platform. 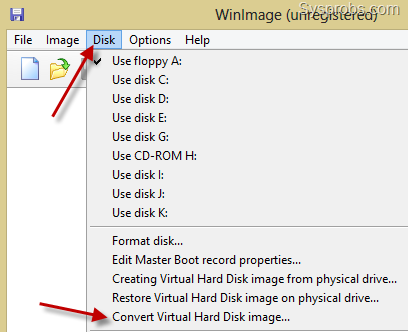 WinImage is a tool (free for 30 days) can be used to convert VHD to VMDK in Windows 8 or 7. Also, StarWind’s V2V converter is available for free after registration. Download WinImage here. It’s a small application. 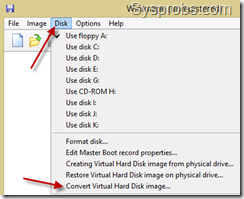 From Disk menu select ‘Convert Virtual Hard Disk image’. 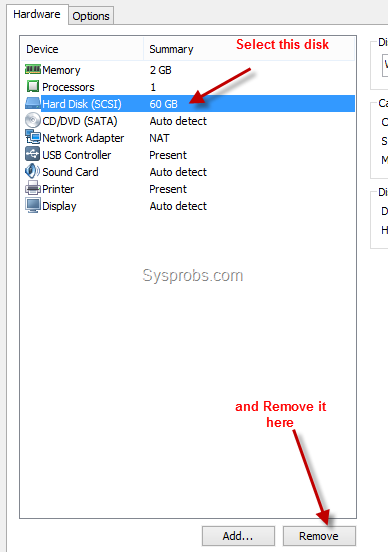 Browse the VHD file you need to convert and select default option in next screen to make fixed size volume. In the saving dialogue box, select VMDK file format from drop down and press save. This will start the conversion process of VHD to VMDK. If you want to know more about how to use WinImage for this process, refer this guide. 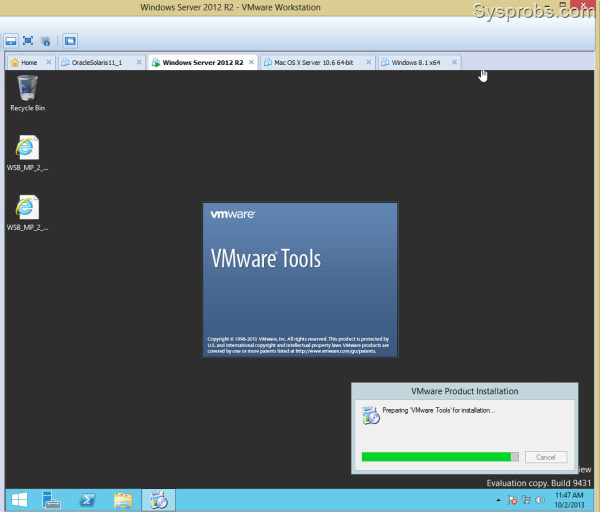 7) Once the disk has been converted successfully, create a new virtual machine in VMware workstation. Select ‘I will install OS later’ option because we are not going to install OS. 8.) 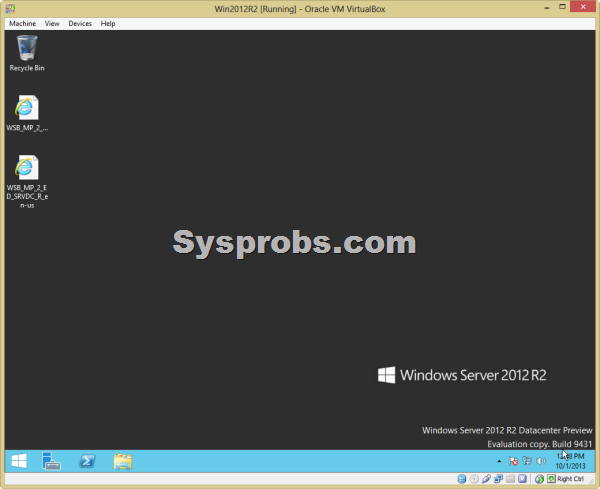 Select Windows Server 2012 as guest OS. 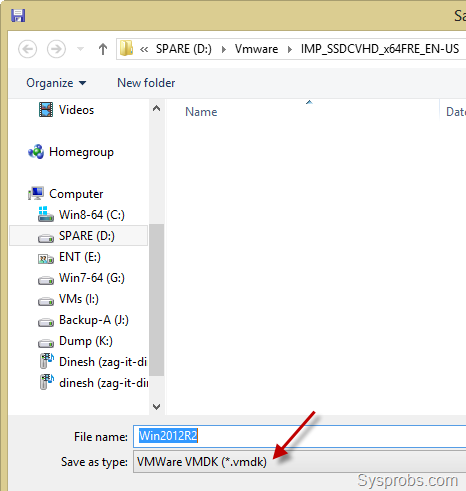 9) Once the new VM is created successfully, follow below step to delete default vmdk file. 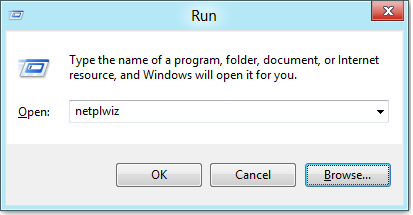 After deleting, let’s attach our Windows server 2012 R2 VMDK file which was converted from original VHD. Press Add and select hard drive. 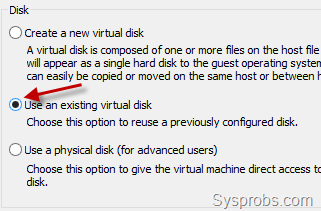 Make sure to select existing disk option as shown below. Browse and attach the converted 2012 R2 VMDK file. 10) You can modify other hardware settings ( such as RAM and processor cores) if you wish. Then power on the virtual machine. I’m sure it will start smoothly. VMware tools for Windows 2012 R2 also works fine in VMware workstation 10. I could able to install and use few extra features such as full screen, unity mode and improved display performance. By using this method, you can use same VMDK (which converted from original Windows server 2012 R2 VHD) on VMware ESXi or vSphere hypervisor hosts. 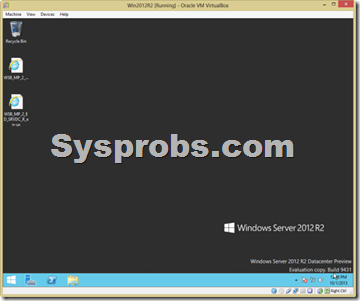 Share your experience about these steps to install and run Windows server 2012 R2 VHD on VirtualBox or VMware workstation. Cisco Packet Tracer is a powerful network simulator that can be utilized in training for CCNATM and CCNP TM certification exam by allowing students to create networks with an almost unlimited number of devices and to experience troubleshooting without having to buy real CiscoTM routers or switches. An innovative network configuration simulation tool free for Networking Academy students. أو بعمل تقسيم للقرص الصلب “Hard Disk solid” ليتمكن المستخدم من تسطيب النظام الآخر عليه او عن طريق استخدام “bootcamp” في اجهزة “الماك” بإمكان المستخدم العمل بنظام التشغيل “وندوز”. ومن جهة أخرى فعالم البرمجيات واسع حيث تم التوصل إلى تشغيل البرامج الخاصة التي تعمل في أنظمة تشغيل واحدة إلى تشغيلها بالأخرى بواسطة برامج خاصة تتيح لك المجال لتشغيل البرامج دون الحاجة إلى تسطيب أنظمة تشغيل عالية الكلفة. فبإمكانك اليوم استخدام البرامج ادناه لتتمكن من العمل على البرامج التي ترغب بها ولا تتوفر في انظمة تشغيل أخرى. المثال التالي يعمل على نظام “الماك” لشتغيل برامج “وندوز”، باستخدام هذه البرامج ستوفر المال والجهد والوقت والمساحة لجهازك واستخدامك.